We Are YSJ in Stratford-Upon-Avon - Words Matter. Last week many of our students struck off to Straford-Upon-Avon as part of our Second Year Shakespeare: Perspectives module! Below, Julie Raby introduces the trip — stay tuned over Easter for more posts on the tip by our students! On Monday and Tuesday 8 and 9 April 2019, Students from York St John visited Stratford-upon-Avon. The trip followed several very successful trips in previous years. 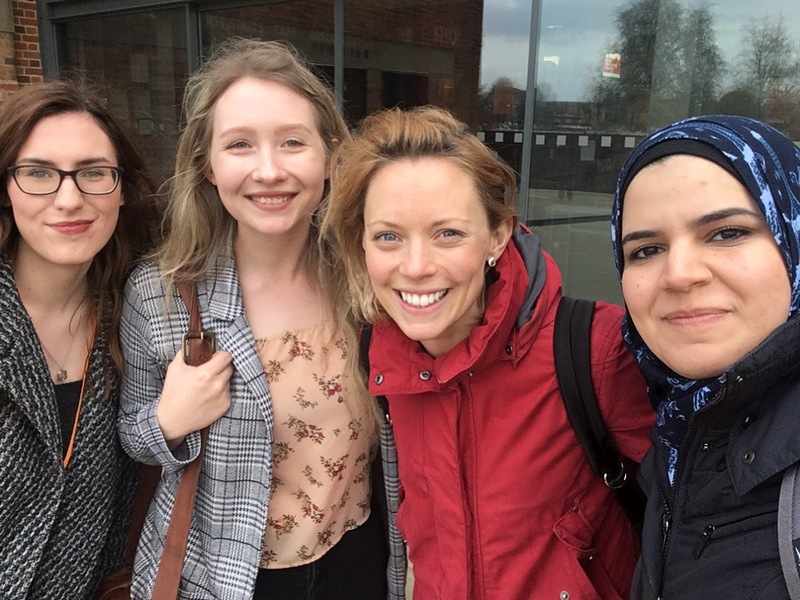 Students studying both our Level 5 and 6 Shakespeare modules took part in the trip as well as students studying other modules on our undergraduate programme and modules as part of the MA programme. 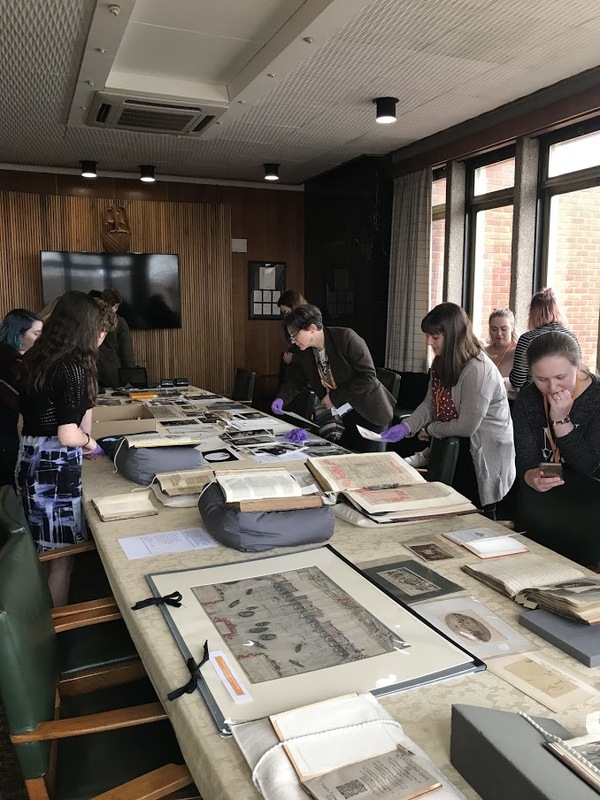 The students undertake lectures and discussions at the Shakespeare Birthplace Trust, as well as being given the opportunity to handle treasures form the Trust’s archives. The students also visit Shakespeare’s Birthplace in Henley Street. Every year one of the students spontaneously performs ‘To be or not to Be’ from Hamlet in the Birthplace grounds, and this year was no exception. Mollie Watson did a great version with the Birthplace Trust actors looking on! On the Monday evening we went to see the Royal Shakespeare Company’s production of As You Like It. 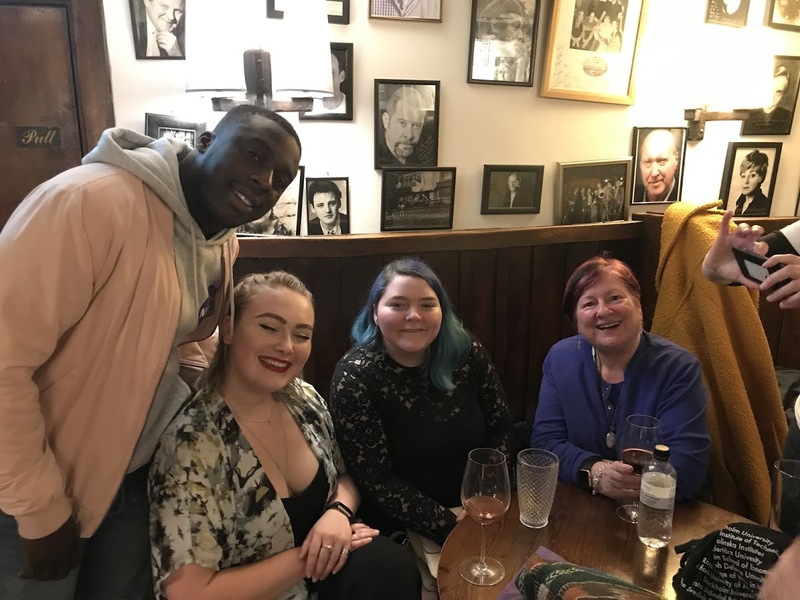 Students were wooed by the production, and some had visited the actor’s pub, The Dirty Duck afterwards, where some of them got to chat to David Ajao, this year’s Orlando. Meeting actor David Ajoa, this year’s Orlando. The trip finished with a very informative tour of the Royal Shakespeare Company’s two theatre, and we all arrived back in York exhausted after two very packed days. Watch this space for student blogs on the trip.